of the main island, Honshu. 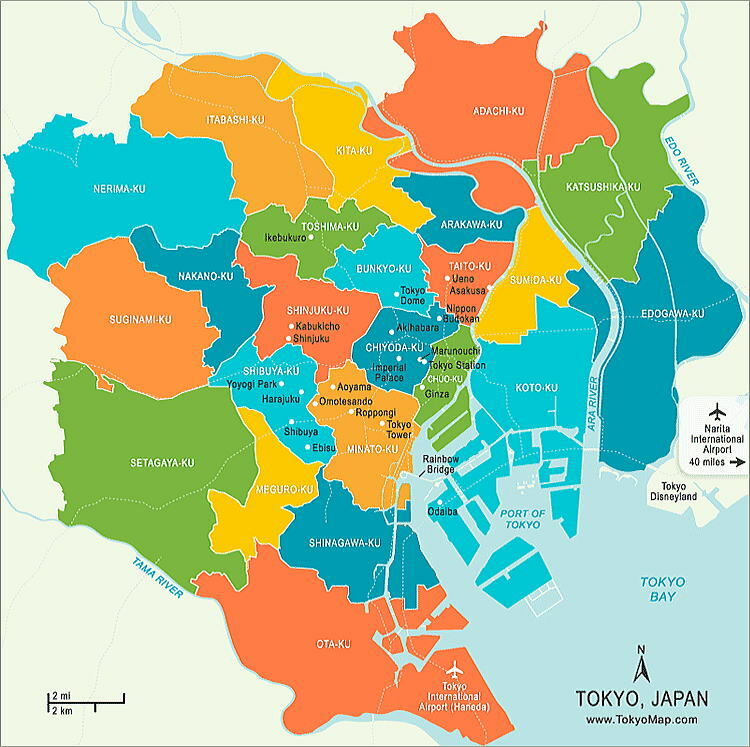 The Tokyo Metropolitan Government is located in Shinjuku City. 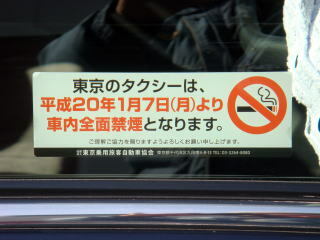 Smoking Ban was adopted over Tokyo Taxi. Since most Tokyo's taxis adopted the smoke-free policy, there has been reported little trouble with passengers. drivers said they wanted to quit. This figure has risen to 35.8%, since the ban has been in place. The biggest reason voiced by supporters of the ban was that ' cleaning the inside of the cars has become easier'. However, the 39.8% of those against the ban complained that 'they were carrying fewer passengers now'. allowing customers to smoke. 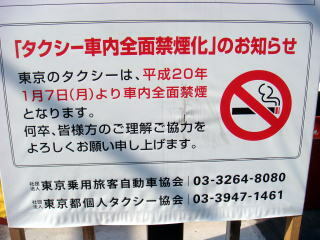 There is no law, which bans smoking in a public indoor space in Japan. Reference: Takahiro Fukada, The Japan Times, March 15, 2008. (R) All taxis carry no-smoking plate on the vehicle. 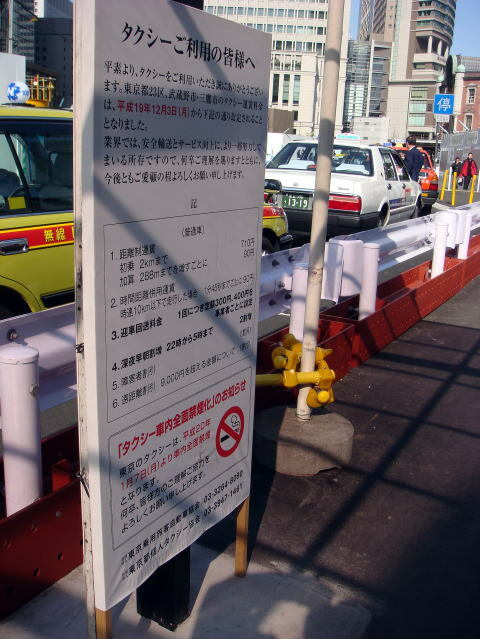 Photographed near the East Gate of JR Shinjuku Station in January 2008.
a complete ban on smoking in all vehicles. Photograph was taken in front of the North Gate of JR Tokyo Station. in all vehicles at its board of directors meeting in August 2007.
about 5,825 cars as of June 2007, has decided that all of its vehicle will be smoke-free. all its taxis smoke-free. Nagano Prefecture followed suit. 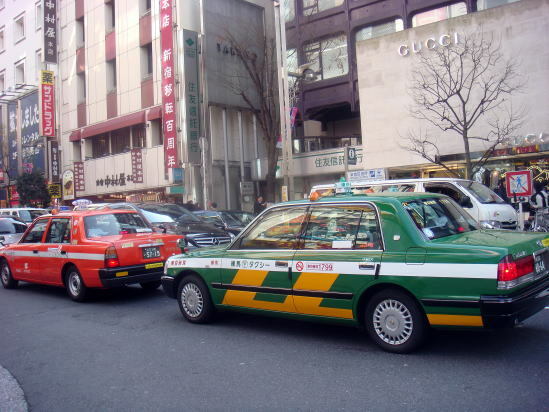 Tokyo's taxi was established in 2008, and, at present, is well operated. He lost an election in August 2009, and died from pneumonia at age of 75 in 2011. 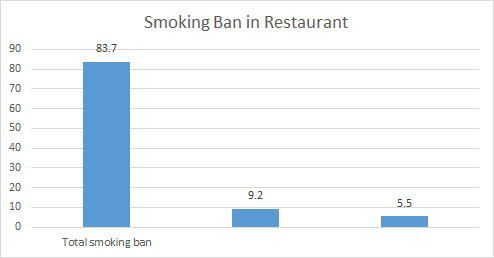 Restaurant industry opposes total smoking ban ahead of 2020 Olympics. 1. A smoking booth is allowed in a large-sized restaurant and bar. at the entrance into the facility. in almost in all restaurants, smoking is allowed. This appeared to be the worst anti-smoking measure in the World, neglecting the WHO and IOC agreements. January 2018 Junhaku Miyamoto, M.D.,PhD. 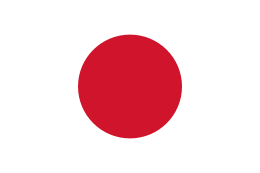 For the 2020 Tokyo-Olympic, we are responsible for succeeding the tradition of the Olympic without tobacco. would reserve and in most restaurants and bars, and the user can put a cigarette at a food-shop. The flow of politics has changed greatly toward unfavorable direction, in August 2017.
in a restaurant, was newly appointed as the next Minister of Health. Do you support the indoor total smoking ban? 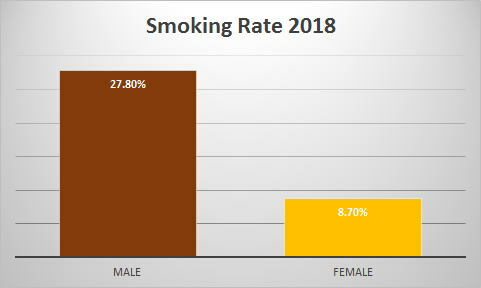 Source: Asahi Shimbun Awareness Survey on smoking regulation performed in April 2017. Tokyo metro government enacts watered-down ordinance against passive smoking at restaurants. in smoking rooms, however, are not allowed to have the meals in such spaces. 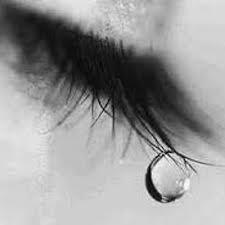 The article was written in May 2007, and last revised in September 2018, by Junhaku Miyamoto, M.D., PhD. and/or smoking booth in a train are the superb service to train passengers.